Executed in 2009, this is the first multiple object ever created by the artist. Fuji-trans transparency in pre-fabricated lightbox, a fine example of the first ever multiple object ever created by the artist, signed and numbered in pencil on the publishers label affixed to the rear of the lightbox, executed in an edition of only 15 examples (there were also 4 numbered artist proofs and 1 Archive proof, which is not for sale), published by World House Editions, Middlebury, Connecticut, in very fine condition. 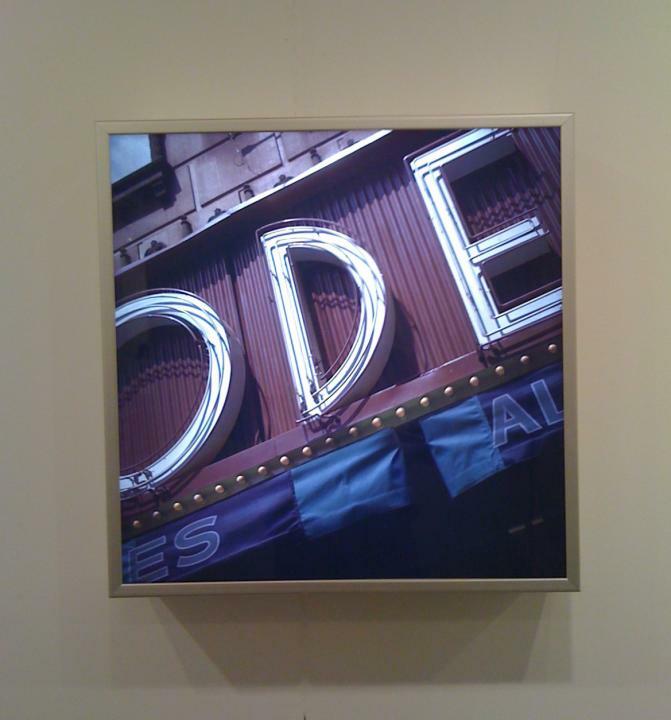 ODE is in the collection of the Everson Museum of Art, Syracuse, New York and the Museum of Fine Arts, Houston.